So colorers what do you think? What a collection! If you have more questions for Sabrina, please leave them in a comment section. 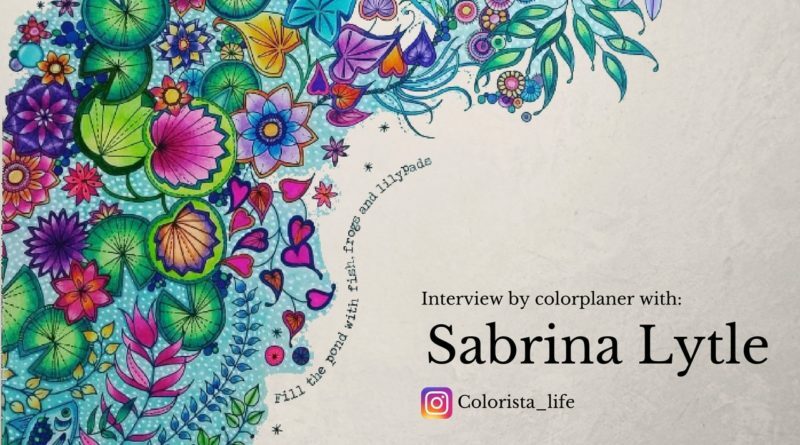 And lease chek Sabrina's Instagram profile @Colorista_life for more coloring pages. I just couldn't post them all. I always colored as a child. Getting a new big box of crayons and coloring book was my favorite thing. Last December I came across Adult Coloring Books while shopping online. I immediately was so excited and ordered my daughter and I 2 books and pencils....I've been hooked ever since. Needless to say my collection has since exploded! Q:Do you use coloring as a small getaway from the real world? 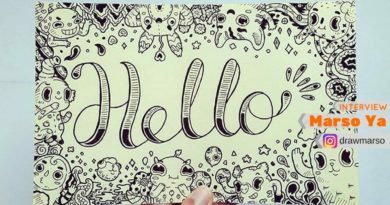 I use coloring for art therapy. To take my mind off of the pain or anxiety I am feeling at the time. So yes it is a gateway from the real world. I'm not sure how I would've gotten thru the past 10 months without it, honestly. 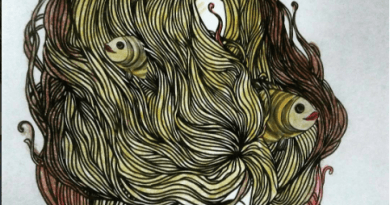 Q:Is coloring time­ consuming? How often do you color on a weekly basis? Yes, coloring is time consuming, I spend about 2-3 hours a day coloring...I love it. I just get lost in creating, it's so methodical and relaxing for me. Q:What are your favorite supplies for coloring? Do you always use the same or you like to experiment? My absolute favorite supply are colored pencils. I can't ever have enough sets! My favorite is Faber-Castell Polychromos. Prismacolor Premier is after that. I love working with watercolor pencils as well. I have the Caran D'ache Supracolors and the Faber-Castell Albrecht Durers. They both are amazing! I also LOVE the Derwent Inktense, and sometimes combine the watercolor with those. I also use Staedtler Triplus Markers and fineliners for small details. Along with Amazapen Glitter Gel pen set. These are all of my favorite items. Q:Do you have special techniques and color mixes that you’d like to share with us? Any tips and tricks? I have taught myself to blend and shade. I also had to learn that light layers are the key...and not baring down hard. That will ruin the tooth of the paper if you decide you hate it and need to erase. My tip is, don't be afraid to blend different colors...try new things that you normally wouldn't do...such as blending orange into purple...you may surprise yourself! I do not use baby oil or Vaseline to blend with, this method shocks me...I would never put that on my books...I blend with the pencils I am using...I feel that's the best method. To get a pretty deep vivid blended look. 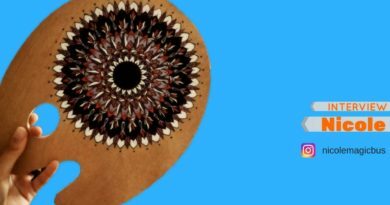 Q: Do you have a specific “signature” in your art? I don't think I do personally. But a person told me not long ago that he always knew my work without even seeing my name. I guess I have a certain style?? But that made me feel good! So maybe others notice too. Q: Which books and patterns you find most enjoyable to color? I enjoy all types of books. From floral to greyscale to city scenes to fairies... Just depends on my mood! Q:Do you have a favorite author? How did he/she earn your admirations? My favorite coloring book author is Johanna Basford. I just love her style. Secret Garden is my all time favorite book! I have all of hers of course and work in them most of the time. My next favorite is Jasmine Becket-Griffith. I just love looking at her coloring books. Her paintings are amazing!!! I'll be honest, they do intimidate me and I have only colored one girl. But she is on my favorite list. Q: And last but not least, where can we find your artwork? I am on Instagram @Colorista_life, please follow me!